Well, is it true? Is there really enough research to show that consuming dietary supplements increase the risk of cancer? This “latest news” on dietary supplements causing cancer is old, old news. In other words, what Dr. Byers did is rehash studies that began up to 30 years old, most of which we have spoken about ad nauseum like the SELECT study. So, why is Dr. Byers bringing up such old stuff again? I don’t know. A cynic (and I can be one at times, I admit) would think he is paid by big pharma to bring the supplement industry down to its knees. Or he is simply anti-supplements and anti-natural medicine spokesperson like a few other doctors. But no. Dr. Byers is a faculty member of the University of Colorado with interest in the role of nutrition and diet in cancer. Why would anyone write a paper that is not only unoriginal but as old as the Clinton administration? The answer is simple: money. The more papers you publish in journals, the more publicity you get and the more likely you are to be able to secure grants to continue your investigations. And saying something counter intuitive like “supplements cause cancer” will always get a lot of media attention since we are talking about a nearly $30 billion dietary supplement industry. You see, researchers are under an astronomical amount of pressure to publish and gain attention for their work, which in turn leads to more research grants – which in turn leads to more security and more appointments. Research scientists are burned out by this pressure to publish as often as possible. It’s publish or perish, as they say in the academic world. By the way, confusion about dietary supplements is a major discussion at the CaPLESS Retreat (prostate cancer health retreat) since some supplements can potentially promote cancer. Through his research, Byers found that people who took high doses of beta-carotene supplements had an increased risk for lung cancer. Again, none of this information is new. The connection between beta-carotene and lung cancer in smokers was published in the mid-1990s. I assume you can find concentrated beta-carotenes in some bottle somewhere, but integrative and naturopathic doctors have been using mixed carotenoids, which might have protective benefits unlike the concentrated form beta-carotene. Dr. Byers: Men who took vitamin E had an elevated risk for prostate cancer. Me: OK, are we seriously talking about SELECT again? This goes back to 2008. And besides, if you’ve been reading my blogs for a while you I have highlighted the flaws of SELECT. The study was supposed to last 12 years, but after about 6 years SELECT was stopped following an interim analysis showing that it was unlikely that either selenium or vitamin E had any benefit for prostate cancer. Further SELECT research showed a 17% increased risk of prostate cancer in those taking 400 of dl-alpha-tocopherol vitamin E and a 91% increased risk of high-grade cancer among men taking SelenoMethionine (selenium). All these men had high selenium status at baseline (Klein et al., 2011). SELECT was a high powered (35,000 subjects), multi-centered ( more heterogeneity) , long-term (12-year) clinical study well funded (between $150 TO $300 million) clinical study. Unfortunately, SELECT researchers, non of which have a background in nutrition science, by the way, lost an opportunity to see if using the right form of vitamin E and Selenium would have any benefit in preventing prostate cancer. In other words, we wasted a whole lot of tax payer money on this one. Why is this important? The reason the study SELECT became of interest is because the Alpha Tocopherol Beta Carotene (ATBC) study showed that dl-alpha-tocopherol reduced the risk of prostate cancer. Oh, yeah. They used 50 units of the unnatural, dl-alpha-tocopherol Vitamin E.
How about Selenium? Interest in selenium’s protective effects against prostate cancer came from the NPC trial, which showed a reduction in prostate cancer along with other forms of cancer. The problem? The NPC used High Selenized Yeast, SelenoExcell, which is more food-like and less concentrated compared to SELECT, which used 100% Selenomethionine. Selenium Yeast not only consist of selenomethionine but also contains a wide variety of organically bound selenium compounds like selenocysteine and methylselenocysteine, which very likely could have greater anti-carcinogenic activity than selenomethionine alone. If this is not the GIGO effect I don’t know what is. Other studies Byers reviewed indicated that many other supplements had no apparent impact on cancer risk—neither increasing nor decreasing it. No apparent impact on cancer risk; Really? How come some of the studies I have compiled have shown the opposite? Take for example a study of a dietary supplement formula consisting of broccoli , turmeric, pomegranate and green tea. Researchers looked at 199 men, average age 74 years, with localized prostate cancer, 60% managed with primary active surveillance (AS) or 40% with watchful waiting (WW) following previous interventions, were randomised the botanical blend for 6 months. PSA reflected underlying disease status as the percentage change in PSA was 10-fold lower in the men with and a disease shrinkage was noticed on MRI compared with disease progression no man taking the food supplement had disease progression with a stable PSA. This study would have had more impact if the follow-up would have had a biopsy. But who wants excess biopsies? And who would pay for that? Cost often makes supplement studies prohibitive when a lot of expensive testing is involved. HERE is a link to the study. In the VITamins and Lifestyle (VITAL) study, which looked at over 35,000 subjects, the use of grapeseed supplements was associated with a 41% reduced risk of total prostate cancer. Another meta-analysis of observational studies supports an association between higher calcium consumption and reduced breast cancer risk. One meta-analysis found that higher calcium intake was associated with reduced colorectal cancer risk. The Physicians’ Health Study, evaluating the impact on men using a regular multivitamin supplement demonstrated a modest 8% reduction in total cancer incidence in men taking a multivitamin. In addition, men with a history of cancer derived the most benefit from MVM supplementation, with a 27% lower incidence of new cancer compared to placebo. The French randomized clinical trial Supplémentation en Vitamines et Minéraux Antioxydants (SU.VI.MAX) evaluated a supplement containing Vitamin C 120 mg, vitamin E 30 mg, beta-carotene 6 mg, selenium 100 µg, and zinc 20 mg. This supplement was associated with a 31% reduction in overall cancer and a 37% reduction in overall mortality in men but not in women (about 7.5 years). A meta-analysis of 13 prospective European and North American cohort studies reported a decrease in risk of colon cancer among MVM supplement users compared with nonusers . MVM supplement use for 15 years was associated with a 75% reduction in colon cancer risk in the prospective Nurses’ Health Study (NHS) based on questionnaires completed by 88,756 female nurses in the United States. But the better question is – why are dietary supplements studied like drugs when they are not drugs? The scientific method is the approach used by the scientific community to assess if a pharmaceutical drug or a medical procedure has any effect on a particular disease. To control an experiment, you want to eliminate as many confounding factors an isolate the treatment as much as possible. If I want to know if drug A, a pill, can cure cancer, then I would set up a study where I recruit, say, 1000 people with cancer (any cancer, to keep it simple), randomly assign 500 to the drug and the other 500 to an indolent pill that looks like pill A but only contains sugar. I would then follow both groups for as long as possible. The more subjects to study and the longer the study, the more valuable the data and the more clinical relevance it may have. Of course, this gets expensive. That’s why studies like this are rare and should be executed with excellent methodology (the exact opposite of SELECT). So, when scientists study nutrients in isolation, e.g., dl-alpha-tocopherol (not the natural form with other important components), selenomethinine (without other key forms of selenium), beta-carotene (excluding other carotenoids) – then of course the outcome is rarely good. These are high doses of a single chemical that usually comes in a complex package. In other words, super concentrated nutrients without the synergism of other key components are similar to pharmaceutical drugs and carry the same risk. But physicians who are nutritionally oriented know that – and have known that for a long time. And, only integrative, functional, and naturopathic doctors are the experts in the responsible use of nutritional supplements. So, no, don’t tell your doctor about the supplements you are taking (there is not one nutrition course in Harvard medical school) because she will not know what to do with that information unless she is a nutritionally oriented physician. Nutrition science and botanical medicine is a discipline in its own right. Don’t just take supplements, but eat whole foods (organic as often as possible) from local sources when possible. Exercise for a minimum of 30 minutes a day and then still stay moving afterwards as much as possible. Most good research suggests you can benefit from taking Vitamin D3, so do so. Anything above 2000 units a day should be monitored by an integrative, functional or naturopathic doctor. Other supplements may very well be helpful but it is always a good idea to seek the help of an expert. I have seen patients who often take way more than what they need. Leave comments below as I know this is a hot topic. Jiang Q, Wong J, Fyrst H, Saba JD, Ames BN. gamma-Tocopherol or combinations of vitamin E forms induce cell death in human prostate cancer cells by interrupting sphingolipid synthesis. Proc Natl Acad Sci U S A. 2004;101(51):17825–30. Richie JP Jr, et al.Comparative effects of two different forms of selenium on oxidative stress biomarkers in healthy men: a randomized clinical trial. Cancer Prev Res (Phila). 2014 Aug;7(8):796-804. What a great summary review! Thanks Dr Geo! Thank you Dr. Geo for shedding some much needed reason and logic on a complex topic. You do a great job of making the information understandable. I often point out that Press articles are often merely alarming and contain scant real information and it often sounds like there is an agenda to them. Thanks for working so hard to put real science to the facts and being an educational writer! Last year a friend showed me a big news article saying that the B vitamin Niacin didn’t work for improving cardiac health. After I read it carefully, it turned out these were all the Prescription forms of niacin! They said nothing about the plain niacin that gives flushing to patients and is well tested. Guilt by association. Duh! Thanks again for that beacon of light on a dark sea. An excellent and very true summary! 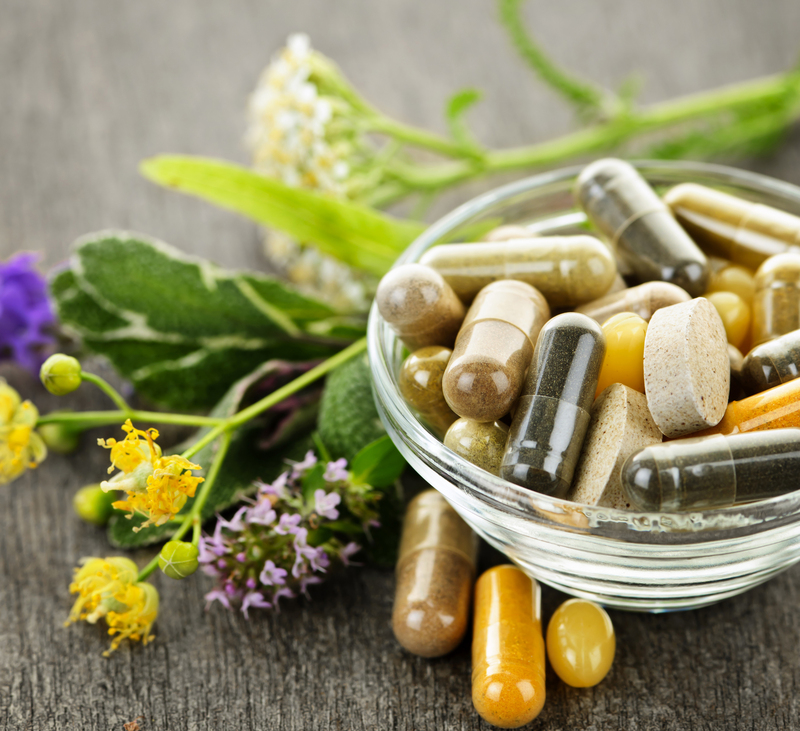 Unfortunately, in the field of dietary supplements, including vitamins and herbal supplements, some “clinical trials” are performed with untested supplements. Therefore, before starting expensive clinical trials with nutraceuticals/dietary supplements – these supplements MUST be evaluated for their functional effects (https://netorg6876-public.sharepoint.com/blog). In addition, each new batch should be tested before its use. Some previously functional supplements can be without any effect because the producers of supplements found new=cheaper suppliers of active ingredients. Thank you for enlightening us, Dan, on testing for functional effects.